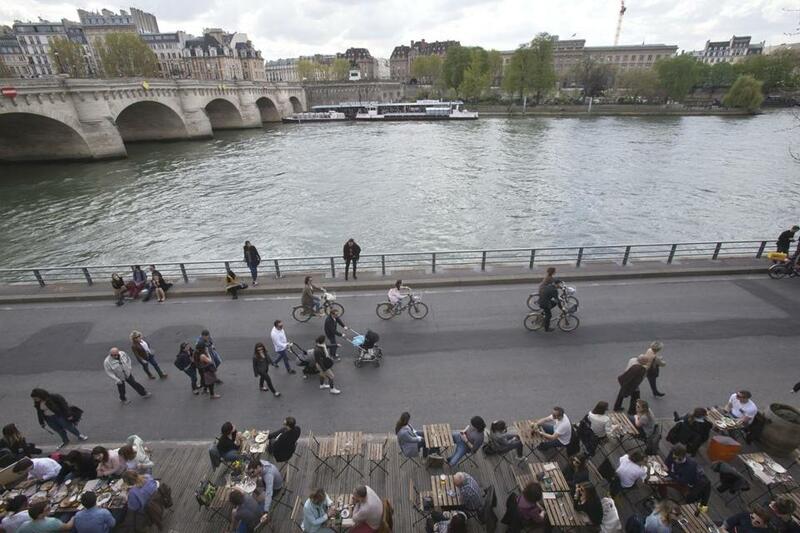 The mayor of Paris, Anne Hidalgo, has unveiled a new car-free zone along the Seine river to fight against pollution. President Trump’s disgraceful decision to withdraw the United States from the Paris climate agreement has an unintended silver lining — within days of the announcement, a large and growing group of governors, mayors, and university and business leaders have vowed to compensate for federal abdication with climate change policies of their own. The Northeast and mid-Atlantic states are well represented in this group — the governors of New York, Maryland, Massachusetts, Vermont, Connecticut, and Rhode Island have all issued statements affirming their commitment to help fill the void with local and regional action. The question is: What can these leaders do to accelerate progress on confronting climate change and set an example for the rest of the country, even as the federal government abandons the fight? The answer: a regional solution to greenhouse gas emissions from transportation. 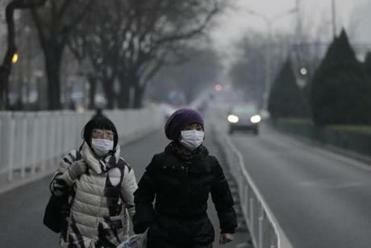 Today, pollution from cars, trucks, and airplanes is the largest source of global warming emissions in this region, responsible for about 40 percent of the problem. We have the tools and technologies to achieve dramatic reductions in transportation emissions, with electric vehicles, public transit and biking, and new transportation services, such as ride-hailing and van-pooling. But we need to scale up these solutions and make them available to everyone. To do this, leaders need to commit to a regional goal of a clean, equitable, and accessible transportation system that provides people with more choices, lower costs, and fewer emissions — and implement that goal with effective policies. The Northeast and mid-Atlantic states faced a similar challenge about a decade ago, when President George W. Bush’s administration went AWOL on climate change. At that time, electricity generation was the largest source of carbon emissions, the region needed a plan to curb rising emissions from the electric sector and rising energy costs that sent more and more dollars out of the region to fossil fuel producers. These states created one of the most successful climate policies in the country: the nine-state Regional Greenhouse Gas Initiative. RGGI placed an overall limit on the amount of carbon dioxide pollution from power plants, put a price on carbon pollution by requiring power plant owners to buy “allowances” from the states for the right to emit carbon dioxide, and enabled the participating states to reinvest the proceeds, primarily in energy efficiency and renewable energy. History will judge him harshly. The combination of RGGI and other complementary policies worked in lowering emissions and enriching the region by billions of dollars, thanks to the reinvestment of proceeds in programs like weatherizing homes and retrofitting buildings that save consumers money and create jobs in the region. This “cap and invest” model can also work for transportation emissions. The region could set a limit on overall transportation emissions and require fuel distributors that transport fuels into these states to purchase allowances reflecting emissions associated with their product. The states could invest the proceeds in clean transportation: expanded and more reliable mass transit; a regional network of fast-charging stations for electric vehicles to ease driver “range anxiety”; van pools for rural employees who need a cost-effective way to get to work; incentives for automated vehicles and ride-hailing services to go electric; and new programs to make it affordable for drivers of modest means to switch from gas guzzlers to electric and other more efficient vehicles. As with RGGI, a regional transportation program is not only a good climate-change strategy, it is a good economic strategy. Almost all of the money that Northeast/mid-Atlantic drivers spend on gasoline and diesel fuel ultimately leaves our region. But when consumers gain access to better transportation options, they save money by spending less on gas. And when states invest allowance proceeds in transportation infrastructure, they create jobs. These economic drivers have led experts such as Cambridge Systematics to conclude that a program of this kind could help reduce emissions by 40 percent, save consumers and businesses up to $72 billion, and create over 90,000 jobs in the region by 2030. Trump’s pull-out from Paris has created a strong backlash, and it is heartening to see leaders vowing to step up. The Northeast/mid-Atlantic leaders are particularly well-poised to lead, but they need a plan and a playbook to tackle today’s biggest climate change challenge—transportation. Fortunately, they don’t have to look very far. Ken Kimmell is president of the Union of Concerned Scientists and previously served as commissioner of the Massachusetts Department of Environmental Protection and chair of the Regional Greenhouse Gas Initiative.